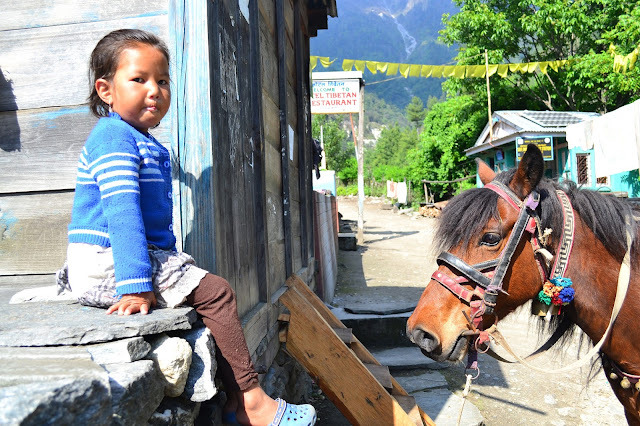 Annapurna Circuit gives you the opportunity to see how people live in remote and beautiful parts of the world. 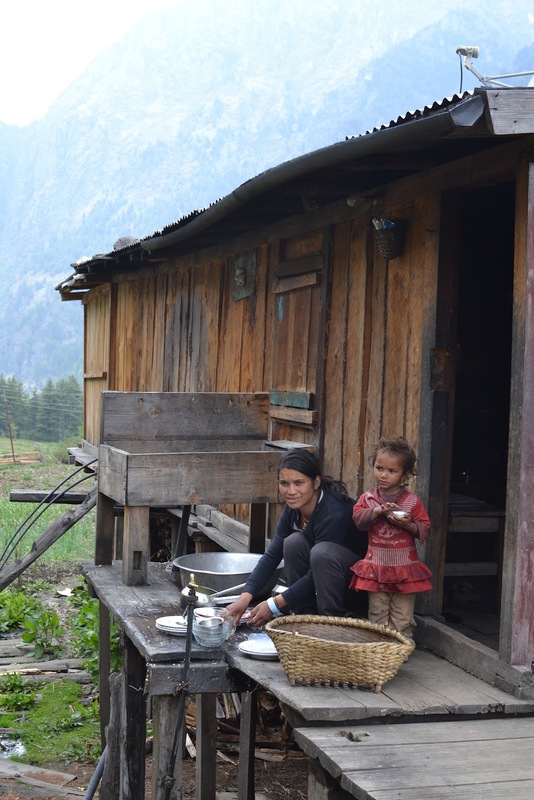 How they live without running water, electricity, or internet. They lead simple but interesting lives. 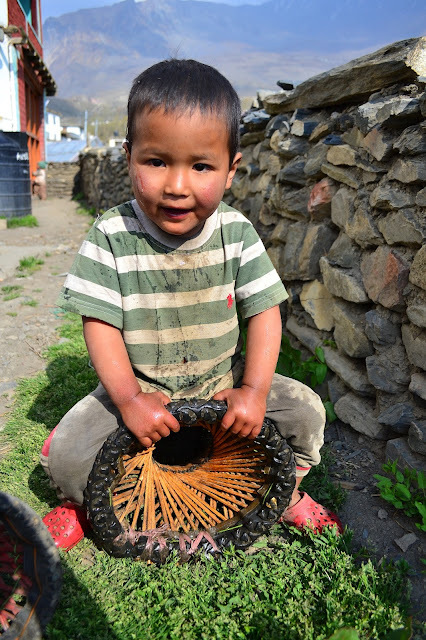 Kids play with homemade toys and roam the streets by themselves. 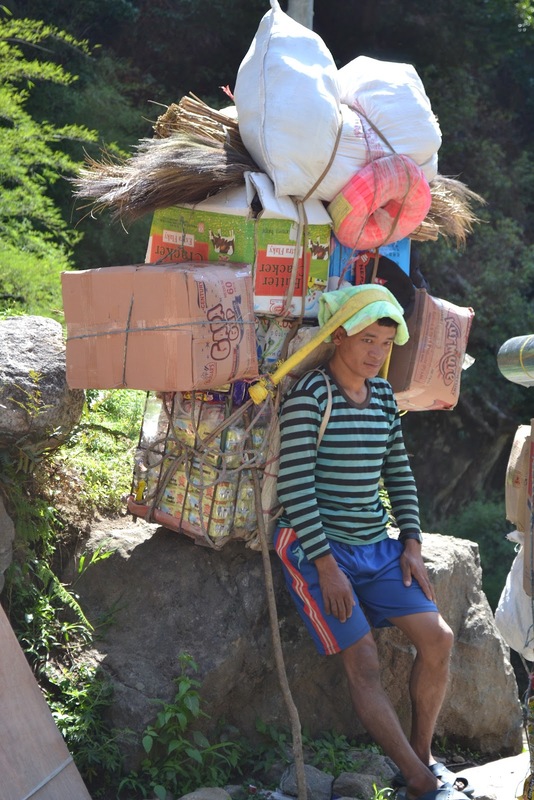 The adults carry large loads of supplies up steep mountain trails to bring supplies to their families. The families pick fresh vegetables from gardens outside their window to prepare dinner at night. Through the Annapurna Circuit the only vegetables served were those that grew in the area, including carrot, potato, green onion and cabbage. Often their would only be one vegetable available. Women washed laundry in water brought down to the village from glaciers perched on mountain tops. Letting the cloths dry on bushed near their homes.Warm water for showers were powered by solar panels or large mirrored domes that focused the suns heat onto a small pot. 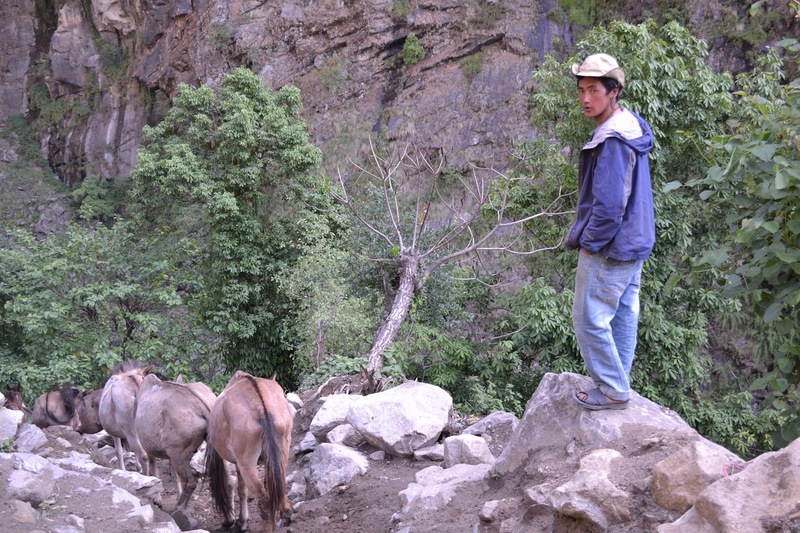 Men would lead donkey trains with supplies to villages. They would attach chickens, salt, sugar, and flour to the animals. They walked behind them pulling their tails and yelling at them to lead them in the correct direction. Children would walk miles to attend school often times by themselves. 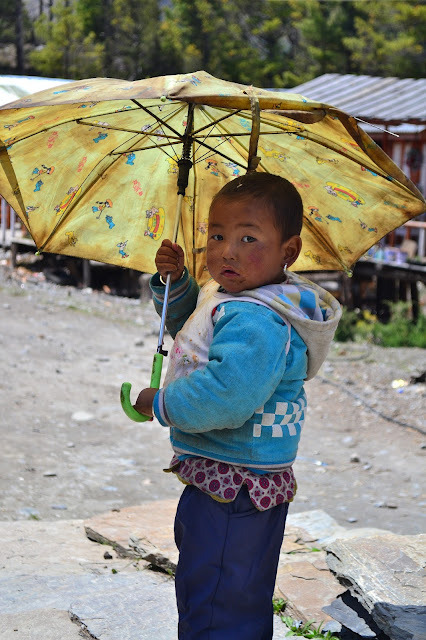 I accompanied a young girl of no more than 4 years from school in Lete to her home. 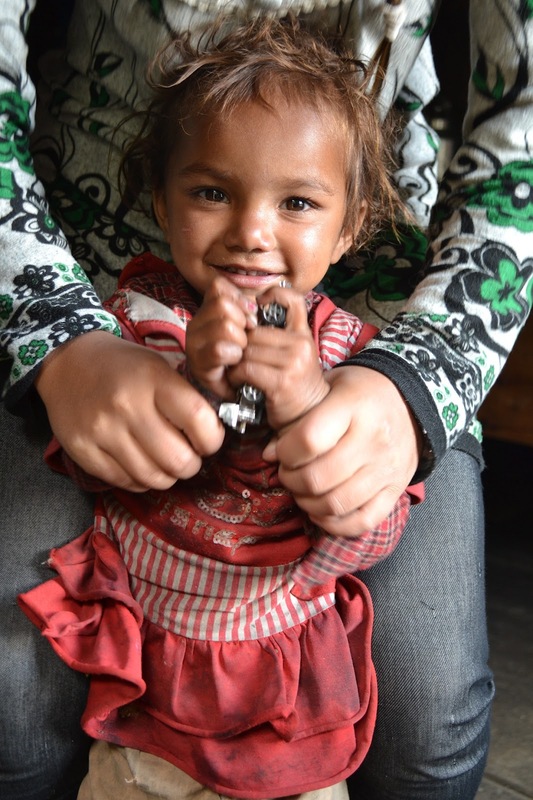 I kept asking her where her "ghar" was, which is house in Nepali. She kept pointing down the road. Buses rushed down the dirt road as we walked. At one point she tripped on a branch falling flat on her stomach. I was sure she would start to cry as any kid would in America with that fall. She got up brushed herself off, put her Crocs back on and kept walking. After a 20 minute walk we arrived at the entrance of her home, a small one room stone house full of chickens. She looked back at me as she climbed down the stairs. I waved at her and taught her how to high-five. I was impressed by her strength and street smarts. Young children would play card games or run after each other with sticks. They are raised without TV's or video games. Children in the street would clasp their hands together and say "Nameste" when they saw me walking down the street. Elementary school aged children would follow you down the street asking for sweets or school pencils. At one point me and my trekking partner where followed by fifteen young children who were grabbing at our backpacks. They would push each other to get closer to us. When we told them to stop touching our stuff they would just repeat everything that we said. Adults watching would yell at them to leave us alone. At one point an older man ran after them scarring them away for a couple minutes. Children asked for photos and would laugh when you showed them their photo on the screen of your camera. They would pose for you in the street, often times fighting with the other kids to get a picture alone. One boy spanked me as I walked down the street in Tukuche. Not sure where he learned to do that. 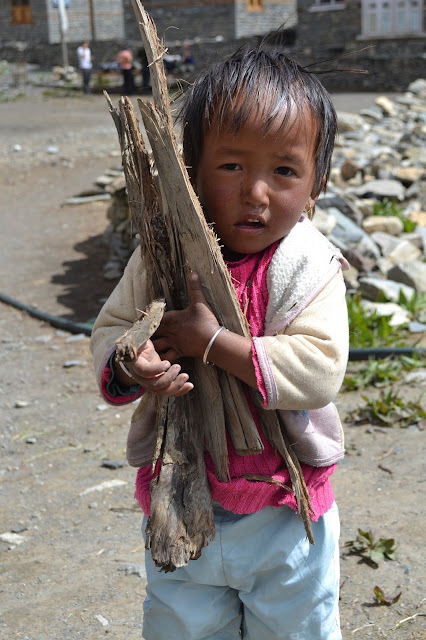 Young girls as young as six would carry their siblings on their back as their mothers and fathers worked. Children and adults would often take bathroom breaks in the middle of the road. Children did not wear diapers, often I saw children as young as two pull their pants down and go to the bathroom in the middle of the street, pull their pants up and begin walking again. Teenage girls where very giddy and excited when they saw me and my trekking partner. They would ask us about Western music and cloths. 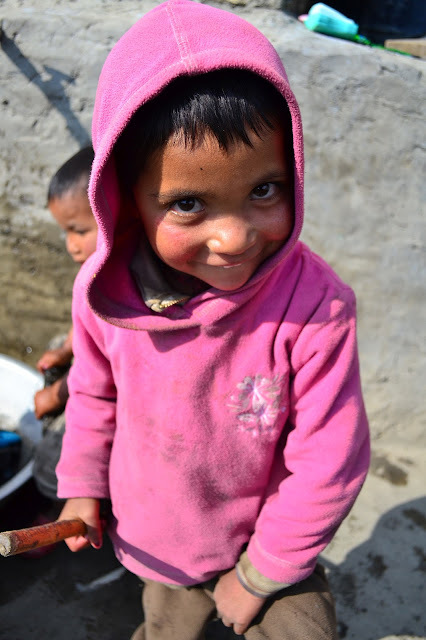 Children and adults both filled their days working in the small villages, installing plumbing, breaking rocks for their homes, carving wood ladders and selling supplies to trekkers. Children as young as seven were shoveling holes for drainage pipes and serving you your dinner. The Nepalese of the remote Himalayan region work hard to survive in the cold and hostile environments that they have created a home in. I can remember looking out my bedroom window at a group of young men tarring down a small building in tee-shirts while its snowing. Life may be harder in many ways but I bet they have a lower incidence of stress related medical conditions. I had a friend of mine who used to go to Vietnam a lot. This once I went with her and since I knew about this travel guide there, we hired them. She said she did not know Vietnam was actually this beautiful! To experience Vietnam like this, click here. 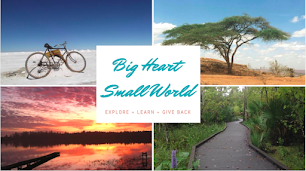 Copyright © 2015 · BigHeartSmallWorld Travel Blog www.bigheartsmallworld.com. Awesome Inc. theme. Powered by Blogger.